Deep straw color; yellow apple, baking spice, lemon on the nose; yellow apple, lemon, honeydew melon, almond, subtle oak on the palate. Dry with hints of fruit sweetness; good acidity (3.52 pH) balances the fruit. Medium-full body; rich, smooth, creamy in the mouth. Wine was barrel fermented nine months in French oak, 34% new, 33% one-filled, and 33% twice filled, producing agreeable oak spice and oak notes. While aging on the lees, the wine was stirred regularly to promote depth and longevity. 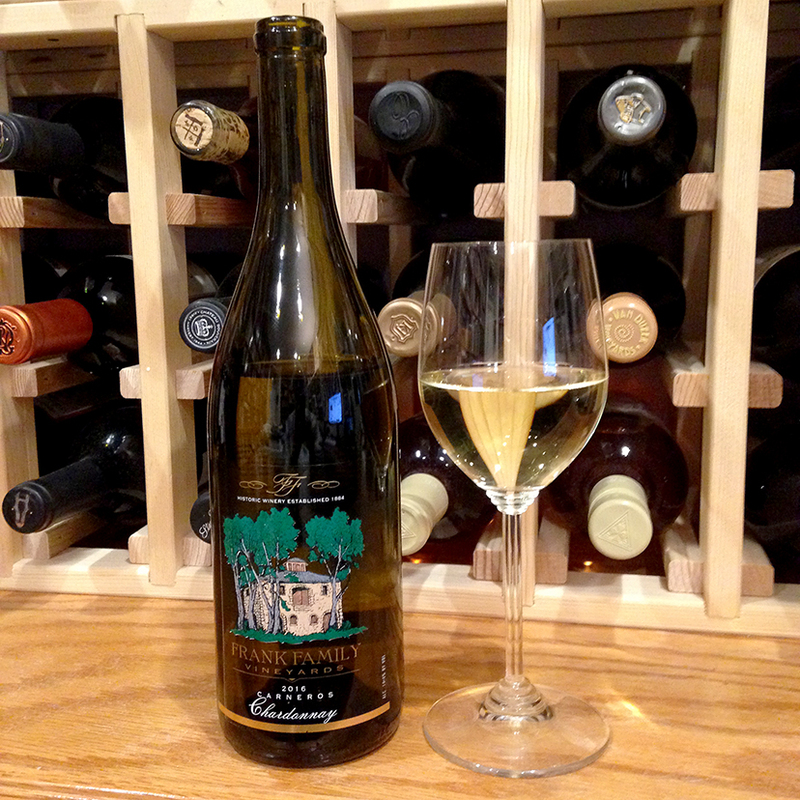 Fruit came from Carneros (76%), principally from the Lewis Vineyard, and Napa (24%). Todd Graff is the winemaker. On the website he does the obligatory—but still true—homage to grape sourcing and picking at the precise time. Just about every winery proclaims this fundamental truth, even when not every one truly delivers. Frank Family consistently and truly delivers. 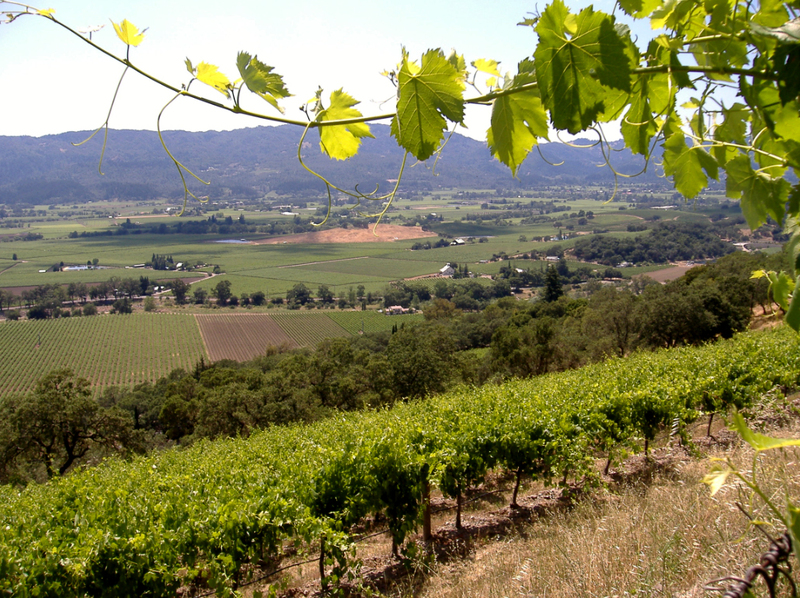 The Family vineyards are near the shores of San Pablo Bay, which delivers the wind, night cooling, and fog essential to the magic of Napa and Carneros—and to high quality vineyards around the world. As Graff knows. 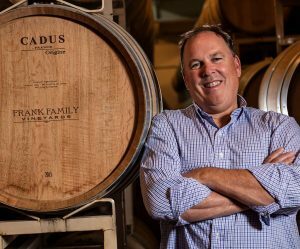 After his UC-Davis education he worked at riesling vineyards in Germany’s Mosel, in sandy soils of St.-Émilion in France, in Australia’s Hunter Valley, and at Stag’s Leap in Napa. He says the favorite part of his day is walking the vineyards in the morning with his dog, Bristol. I would pick drinking the wine Graff produces over walking a dog, but that would be me. 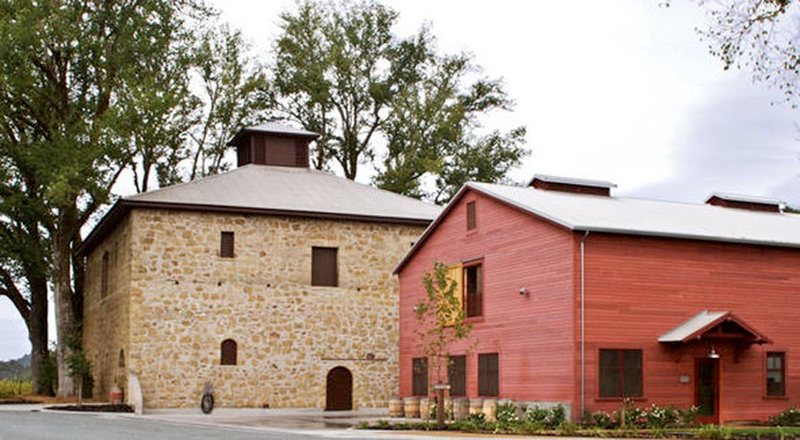 Winery owners Rich and Leslie Frank are stories unto themselves. Rich is a major Hollywood player—former chairman of Walt Disney Television and Communications, president of Walt Disney Studios, head of syndication division of Buena Vista, led development of the Disney Channel, president of Paramount Television Group, a founder of the USA Network, president of the Academy of Television Arts and Sciences. Whew. Google “Frank H. Rich” if you want to know more. Leslie Frank is an Emmy-award-winning television news anchor and reporter, including nine years with KABC, the number one station in Los Angeles. Now, with that glitz, glamor, and power behind them, they focus on making major wine and spending time with their German Shepherd Riley. At least, that is what their website claims. Dogs are the big focus amid all this? Focus groups must say this image plays well for sales. The old joke in the wine industry is that to make a small fortune in the wine industry you must start with a large fortune. I’m not sure that is going on here, or that it matters, but following stratospheric success in the entertainment and television business, these guys and dolls now make some excellent wine. Rock on. Enjoy your dogs.